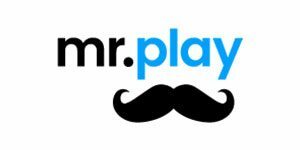 Mr Play Casino will then reward you with a bonus (Welcome Bonus is for new players only). The terms and conditions of the bonuses vary between different casinos and might also change over time and between different countries, so it is important to compare the different offers and read the T&C for Mr Play Casino before signing up. Marketplay LTD created Mr Play casino in 2017, giving it a sleek, relaxing look with a light blue and white shade that looks really nice. Players may be temporarily distracted by the big banner and its many offers, but there’s no need to go digging for what you came to do – the many games Mr Play Casino offers are immediately available to players. Video slots, table games and scratch cards are all on offer here, and while it may not have the wide variety of different games, it does have a lot of each game-type it does offer to players. The casino has a mobile version of its website, which is really easy to use and navigate and is available to both iOS and Android devices without the need to worry about downloading the app. If we’re perfectly honest, Mr Play Casino should be the default on how user interfaces should be handled in casinos. The big banner on top gives gamblers offers they may choose to take, but as soon as you get past that, you have ways to filter specific games which you want to play, and the ability to jump straight into them, and if you have a certain title in mind, you can search for it directly. The wins ticker on the right is also a nice touch, as it displays the big wins gamblers made in various games, and clicking on the icon will take you to that game so you can see it for yourself and try your luck. Mr Play Casino is licensed in Malta and is subject to the Malta Gaming Authority. The casino offers English, German, Swedish, Norwegian and Finnish as supported languages. The casino uses their Company Interactive System which utilizes state of the art encryption to log in to their username and password data. The reason why Mr Play can so boldly show off all of the many titles it offers is that it has some of the biggest developers on the planet on its platform. You know you have a strong casino if NetEnt, Microgaming, NextGen Gaming, Thunderkick and Play’n’Go all share the platform without much trouble. Evolution Gaming also provides several titles, including all the available live casino elements that Mr Play Casino utilizes. There’s no denying the offering of slot games is amazing. The ability to go straight into a demo is great, though we’d still have liked to see a mouse-over to preview exactly what the slot actually looks like before you start it up. 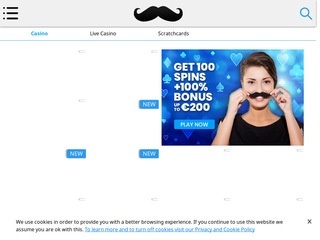 This means that you have to load up the title to see if it has the number of reels and paylines that are to your liking, or if it has bonuses which you may find fun – but to be fair to the casino, the load times are quite quick, and simply having a demo which you can access even when you’re not logged in is a blessing. There’s no good way to filter through the various titles, however – you can have it selected so only video slots show up, but that’s about it. All table games fall under the Casino Games tab, where you will find several roulette and blackjack titles. There’s no baccarat on offer if that’s your particular poison. For roulette, you have Roulette Royal, Roulette Lounge, European Roulette and Roulette Pro, while for blackjack you have Blackjack Classic and Blackjack Solo, which is admittedly not a great selection. You also have 3 Card Solitaire, Jacks or Better and Joker Poker available. For the most part, the idea of other games boils down to scratch cards in Mr Play. That said, you can also find some other luck games in the scratch card section such as Bingo. While there’s no separate section for live casino games, you will find there are about as many live casino titles as there are regular table games. You have two live blackjack games, two live baccarat titles compared to none you can play on your own, five different live roulette games, and finally, a dream catcher title in case none of the ones we mentioned so far appeals to you. Mr Play supports a massive number of ways to withdraw and deposit your money. The most prominent are debit and credit card, bank transfers, Trustly, Skrill, Neteller and EcoPayz. All of these offer instant deposits, although the latter four only need to wait three days for withdrawal, compared to 6-8 days for cards and bank transfers. Should you find yourself in need of help, you can contact the staff via e-mail or through the live chat. The live chat is only available between 06:00 GMT to 23:00 GMT.